Abysmal Dawn from LA are masters from the new modern death metal era. The band seamlessly blends the hooks and technicality of early 90’s American death metal, with atmosphere, melody and the brutality of their contemporaries. ABYSMAL DAWN was formed by Charles Elliott (guitars/vocals), Jamie Boulanger (guitars), and Terry Barajas (drums). Obsolescence is their fourth full-length! First I have to say I love the build-up in the first song. Some serious riff killing before the pedal gets kicked down to entertain us with some furious death metal. The slowed-down parts shows some good modern approach of producing. The production sounds tight and the musician have mastered their skills. The vocals are not the best I’ve heard, but it’s good enough to keep this record spinning. Obsolescence provides us with some simple, yet effective technical death riffs. It’s all fired with perfect precision. Even though they are labeled as modern technical death, somehow the production still has a bit of raw edge in a positive way! There is also some room made for guest appearances from Christian Muenzner (ex-Obscura, ex-Necrophagist, Spawn of Possession) and Bobby Koelble (Death). 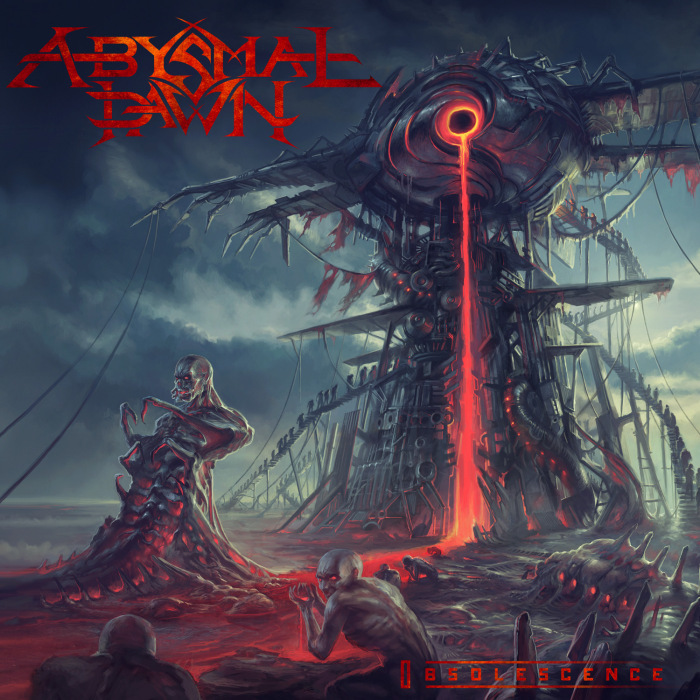 This fourth release of Abysmal Dawn still is one of high standards as we’re used to with this band. If you love technical death you will like this record. Review: Moonloop – Devocean – Listenable Records – Release: March 24th, 2017.